Vizury’s Hack Weekend is back this summer! Calling all developers, designers, hackers, students – just anyone who loves to code. Join us in a 24 hour Hackathon and put your coding skills to test. Come with any idea around mobile, social media, ad technology – basically anything that’s fuelled by the Internet or Big Data. Get your own team or join one of our hacker teams. And the good part – There’s Rs. 1,50,000 worth prizes to be won. Register on or before 29th March 2015. Anyone can participate, but as a part of only one hack team. Teams can be 2 to 4 hackers’ strong. We will shortlist the final hacker teams based on their proposal/idea. If shortlisted, you will hear from us before 1st April 2015. Hack demos are a must. Each team will have about 5 minutes to demo before our judges. Each hack will be evaluated based on the idea, technical complexity and implementation. Go ahead, crack the code – Your time begins at 10:00 AM on 4th April 2015. At ad:tech New Delhi this year, Vizury will showcase our latest user engagement platform and what is arguably the world’s first Performance Marketing Hub. In a way, this represents a logical and very determined move towards realizing the ambitious vision we set out to achieve six years back – of offering a high performance Digital CRM stack for marketers that is the perfect blend of data, marketing and technology. The idea of a user centric, channel agnostic marketing stack has been around for a while now. Perhaps it’s also fair to say that the two-year roadmaps for many firms in the space, large and small, may converge to such a stack. But the notion of using performance marketing principles as the backbone to such a stack, and that too by Vizury, which has strong performance street cred, makes the product proposition very unique. Last year, we started talking to marketers across APAC/LATAM, our focus geographies, to understand what their expectations were from a Digital CRM Platform. Firstly, there was a strong acknowledgement that we did indeed already have a high performance display ad-tech platform across both mobile and desktop. The platform’s constituent components – data ingestion, bidding engine, adserver, analytics/algorithms – were all individually best in class and collectively were helping hundreds of marketers getting excellent returns on their marketing investments. Treating every user as an individual was at the core of every customer’s engagement strategy. And so, we committed ourselves to these expectations and converted them into the two pillars around which we built out the Performance Marketing Hub: Personalization and Predictive Analytics. Personalization has always been at the heart of Vizury’s offerings. In fact, it is a fundamental requirement of remarketing. We always knew how impactful it could be. Personalized ads outperform static, non-personalized ones by ten times. While personalization on the marketing front was well understood and solved to some extent, the key feedback marketers gave was that they wanted a unified view of every user that brings together all touch points including channels like call center, Point of Sale etc. Offline data on boarding like call-center interactions and returns/ complaints data. On all this aggregated data, we overlaid an intuitive, easy to use segmentation engine that rapidly updates marketers on if and which channels they can find users of the segment. Predictive analytics is one more area where Vizury has done considerable work. But it was also the area where marketers gave us their harshest feedback. Quite simply, they wanted much more complexity taken away from targeting. One marketer gave us a wonderful insight. The best programmatic buying algorithm is still only as good as the inputs the marketer feeds in. If the specified bid range is off, there isn’t much an algorithm can do to salvage the situation. But the bid range on the user set can be estimated by looking at recent bid/win patterns. This is a great example of how analytics can, in the background, help marketers reduce the time it takes to optimize and drive better performance faster. With the Performance Marketing Hub, we’ve also made, admittedly still early, forays into email, SMS and other traditional marketing channels. But there is an interesting trend here. With the likely exception of email, almost all other channels have not seen big investments in intelligence and algorithms. Its no surprise, therefore, that when it comes to using these channels, many marketers are quick to ask Vizury to overlay their entire customer data with strong analytics. The Performance Marketing Hub, already in action with clients, is getting traction that surprised even us. Our hope, as we work closely with our customers to continue building it, is that we stay true to their feedback aptly summed up by what Leonardo da Vinci, someone who knew a thing or two about combining art and science, said, “Simplicity is the ultimate sophistication”. ad:tech New Delhi, Here we come! While we were busy with prep, we wrote a poem that sums it all up . . .
And, here’s a sneak peek into what we are up to at ad:tech this year. Over 50 per cent of online shoppers worldwide buy on mobiles and an even larger cluster use mobiles to check out products before they buy. Naturally, there is a lot of drum beat to promote ecommerce app downloads. In fact, the impetus on boosting app downloads is so immense that the true purpose for the app i.e. conversions takes a back-seat. The missing link between downloads and monetisation is “Engagement”. Studies indicate that for every 10 apps downloaded by a user seven are deleted after a single use, clearly due to lack of engagement. Mobile App remarketing works the magic of user engagement and helps you connect the dots. #1 Unified user ID across mobile web and app: From search till purchase, users switch between mobile website and apps during various stages of the purchase cycle and the trail of behavioural data left behind are strong indicators of their purchase intent. User A drops off from a mobile website after looking at t-shirts, dresses and skirts. She later uses the app to look at t-shirts and even adds a couple of them to her shopping cart. This implies that User A was looking at shopping for clothes while on the website. But only later did she make up her mind to buy t-shirts and used the app. Cross-channel user identification help interpret these signals and reach out to mobile app users on other apps and mobile websites with personalised ads. #2 Enrich the user experience: While a player has ensured an awesome user experience on the mobile assets, why not extend it to ads too? In the ecommerce context, ease of shopping is the most important aspect defining user experience. A simplified buying experience prompts buyers to come back. For example, click to call mobile ads offer faster and easier connectivity with business and results in speedy closure to the purchase window. Similarly, with deep linking a user who clicks on your mobile ad lands on the relevant product page and not the home page. #3 Engaging socially: Mobile users are always online and social media websites and apps are a great place to meet your app users. For example, consider User B who has added a watch to her shopping cart on the app but is yet to buy. When she opens Facebook on her mobile, you can remind her about the pending purchase through a timeline ad on Facebook. You could also offer a great discount to get her interested. 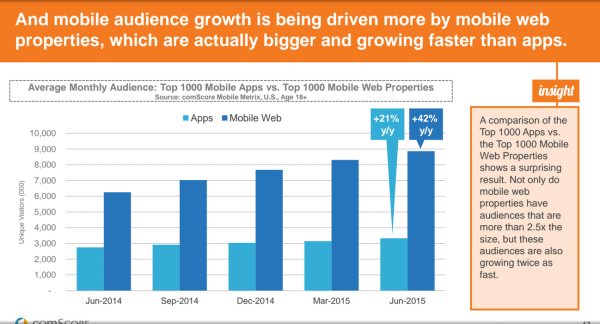 Mobile apps dominate the mobile space and the need for early engagement with app users is imminent today. 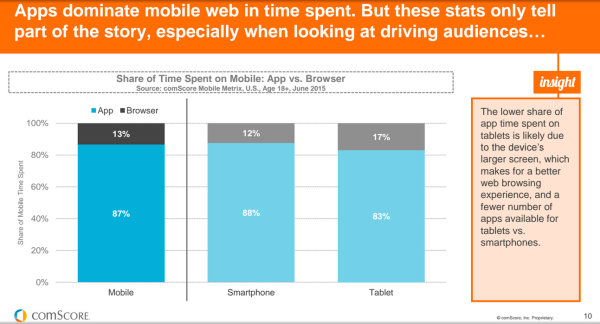 The question is – are you with your app users throughout their purchase expedition? Check out our fellow nominees here. Indian startups with global ambitions are looking beyond conventional destinations like the United States and Southeast Asia to focus on emerging economies such as Africa and South America, where they can apply their strategic advantage and technical expertise to tap into unsaturated markets. Ad retargeting company Vizury, launched in 2008, now services regional e-commerce giants such as CTrip andGomei in China and Mobli and Dafiti in Brazil. Restaurant discovery service Zomato is now present in Brazil andSouth Africa, and has acquired four startups in east Europe as part of its expansion plans while Capillary Technologies has offices in Trinidad and the UAE. Cloud telephony company Knowlarity, after expanding to Southeast Asia last year, is now turning its focus on South America and north Africa. “We wanted to focus on emerging economies, because as a startup with limited financial capabilities it would make sense to enter a market where we can be the number one player, as opposed to only making a dent in the US,” said Subra Krishnan, vice-president of product at Vizury, who oversaw the creation of company branches in Beijing, Sao Paolo, Mexico City and Dubai, among others. His next project is to set up an office in South Africa. Emerging markets are growing much faster than developed markets, said Ambarish Gupta, founder and CEO of Knowlarity, adding that the six-year-old company is able to capitalise on its expertise in PSTN technology that is mandated in many countries in the Middle East and South America. Startups are setting sights even on the predominantly Spanishspeaking Latin America, which has much weaker historical ties with India than Africa and calls for high costs of travel. Crisp in office after New Year’s and weighed down with the crystal ball visuals for marketing this year, we have put together some first hand insights straight from different parts of the world. While certain geographies are nascent to the concept of data driven marketing, others are going full throttle. Nevertheless, it is going to be an awesome year for marketing folks. You’ve probably heard/read a multiple times about how Push Notifications are under-utilized and when used well can help you achieve much better user engagement. It’s true! We have seen 3X more clicks, 10X higher conversions and upto 50% less uninstalls when personalized Push Notifications are sent out to app users. What do personalized Push Notifications look like? Which elements in a Push can be customized? What kind of Mobile Marketing goals can you achieve with such personalized Push messages? Here’s the answer to all of these questions. If you are having trouble viewing the SlideShare embed below, Click here. Also, download this step by step guide to optimize App Marketing and grow conversions on your app. It’s interesting how Machine Learning has been creating such a buzz. From parking enforcement in Australia to Indian banks offering customized loans, Machine Learning has helped solve many real-life problems. And if you are working with a big data marketing firm (like I do), you see a lot more of Machine Learning in action – you can read one recent blog around personalizing Push Notifications using Machine learning (ML from now on)!